Take a seat on the flight to almost anywhere as Colonel Frederic A. Stone, M.D. grows into manhood fretting about what career path to take and thinking in February 1941 and starts the adventure of his life – one that will surprise even him and far exceed anything he could imagine. Visit the places in the U.S. and around the world that you might never have known existed or even thought about visiting. 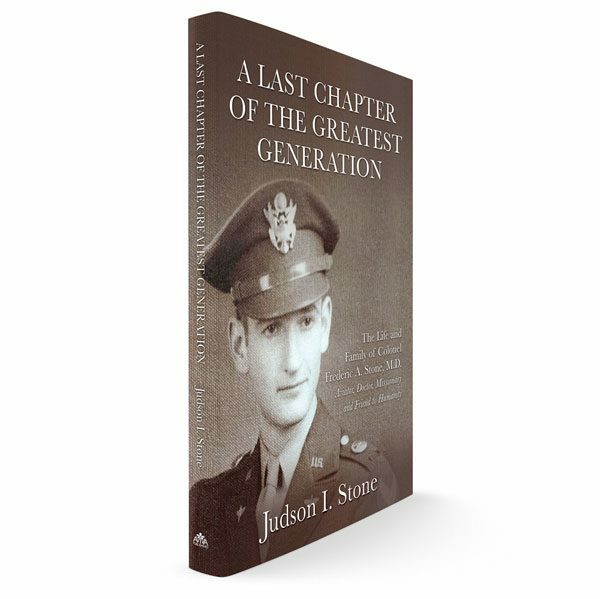 join this member of the greatest generation as he finds that dreams can be fulfilled in the most unexpected ways through career, marriage and fatherhood, and ambitions. The greatest generation is shrinking rapidly and Frederic A. Stone was a last chapter of it. He left a legacy in aviation, medicine, missions, and friendship to humanity. Let his story inspire you to trust in God with your dreams and ambitions. You, too, will be surprised on his flight to everywhere.